As Spring Football concludes and summer workouts begin, the Heisman buzz is soon to follow. College FootBlog takes a look at some of the early candidates that are on the watch list, along with a few things to look for this fall. 1. 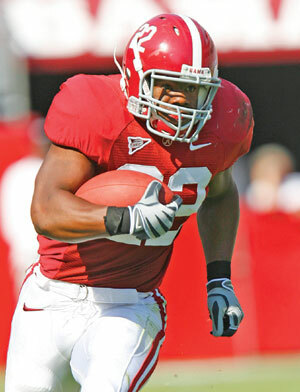 Mark Ingram (Running Back/Alabama): Only one player in college football history has won two Heisman Trophies, but that is not the only thing Ingram has going against him. Expect Ingram to be even better in 2010 than he was last season, but his teammate Trent Richardson will also be bigger, stronger and faster as well. Although the tandem will likely be the best in all of college football and should put ‘Bama in the driver’s seat for a second straight BCS title, it will have a negative impact on the numbers for each talented back. An increased role for quarterback Greg McElroy and future first round wideout Julio Jones will also take precious yards away from last season’s Heisman winner. 2. Kellen Moore (Quarterback/Boise State): Moore has started since his freshman year, and he is poised to lead his Broncos to a serious run at a BCS Championship this season. He is one of the most accurate passers in college football, and unlike prior seasons in Boise, if they continue to win, the Broncos will be on the national radar all season in 2010, which will allow the average college football fan to take notice of his stats. 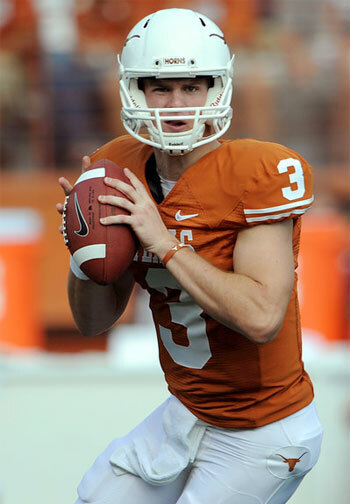 In 2009, Moore threw for 39 touchdowns and only three interceptions. If he can put up similar numbers in the national spotlight this season, expect to see the junior QB in New York in December. 3. Dion Lewis (Running Back/Pittsburgh): Lewis burst onto the scene as a freshman last season, racking up just under 1,800 yards rushing and 17 touchdowns. The talented back will have the benefit of running behind an offensive line which sports two fifth-year seniors and three juniors this fall, but the front five should expect opposing defenses to stack the box and make the new quarterback (sophomore Tino Sunseri or junior Pat Bostick) beat them through the air. Wideouts John Baldwin and Mike Shanahan are both 6’5″ and could help the passing game, which could, in turn, help open some running lanes for Lewis. 4. Terrelle Pryor (Quarterback/Ohio State): Ever since his highly publicized recruitment out of Jeannette High School in Pennsylvania, the athletic quarterback has generated huge expectations. After a slow start last season, Pryor finished strong and capped his season off as the Rose Bowl MVP. If he can continue to build from that and keep his Buckeyes in the National Title hunt, Pryor will get plenty of looks from Heisman voters this fall. 5. Jacquizz Rodgers (Running Back/Oregon State): Rodgers blew up last year, accounting for 1,440 yards rushing with 21 touchdowns, and he added another 522 yards receiving. It also helps that Oregon State has consistently been in the thick of the Pac 10 title the past couple of years. 2010 should be no different, and Rodgers will be a key reason why. Expect another huge year from the versatile running back, and he will have several opportunities to shine on national television, with games against TCU, Boise State, USC and the Civil War game against rival Oregon to finish the season. 6. John Clay (Running Back/Wisconsin): Unless you follow the Big Ten, there is a good chance you have overlooked the big back for the Badgers. Last season, Clay rushed for over 1,500 yards and an astounding 18 touchdowns, averaging 5.5 yards per carry. Quarterback Scott Tolzien showed a much better command of the offense at season’s end, which will only help Clay in 2010. If Clay can stay healthy and produce in big games against Ohio State and Iowa this season, he could be the first Badger since Ron Dayne to make the trip to New York. In our first two pieces, College FootBlog ranked the third through the sixth ranked BCS conferences from the 2009 season (see link). In this three-part breakdown, we analyze the results from each conference from the 2009 college football season, and we also give an outlook for the upcoming 2010 season. Without further adieu, here are our top two BCS conferences from our Power Rankings. 2009 Recap: There was a time when analysts argued if the Big East should even have the right to an automatic BCS bid for its champion. That is no longer the case. Most people left the Big East for dead when Miami, Virginia Tech and Boston College left for what was believed to be the greener pastures of the ACC. While the ACC has fallen from respectability, the Big East has consistently raised the bar over the last three years. Dave Wannstedt has Pitt back on the national scene and they gave Cincinnati all they could handle in a stunning 45-44 loss that was one of the best (if not the best) college football games all season. Overall, the Panthers finished with ten wins on the year, West Virginia and Rutgers racked up nine wins and USF and UConn each pulled in eight victories on the year. 2010 Outlook: Coaching changes could have a significant effect on the Big East next season. The Departure of Cincinnati coach Brian Kelly for Notre Dame and the firing of South Florida coach Jim Leavitt will put a lot of pressure on new head coaches Butch Jones and Skip Holtz. The good news is that each of those two programs will have a proven quarterback. 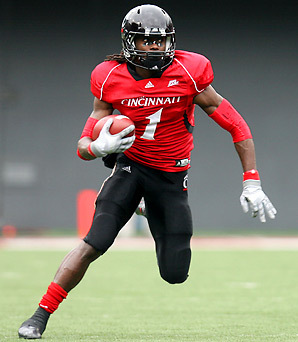 Cincy did not lose a beat when Tony Pike was lost temporarily due to injury because of the great play of Zach Collaros. And USF will have leader Matt Grothe back next fall, but they now have a proven back up in BJ Daniels. The issue for the Bulls is going to be replacing future NFL defensive ends George Selvie and Jason Pierre-Paul. Pitt will have to replace quarterback Bill Stull, but running back Dion Lewis will take a lot of pressure off the new starter at QB. Overall, it will be difficult to keep the #2 Power Ranking in 2010, but the coaching and talent will continue to gain well-deserved respect from college football. 2009 Recap: As much as some fans would like to see a changing of the guard, the SEC simply will not allow that to happen. All the SEC did this season is send ten of their twelve teams to bowl games, and they won six, which included the Sugar Bowl and the BCS National Championship. When the dust settled, the SEC combined for a whopping 97-59 record in ’09, making it by far the deepest conference in the country. Led by Alabama’s national championship team and the Florida Gators, whose only loss came at the hands of the Crimson Tide, the SEC once again imposed its will on the rest of college football. 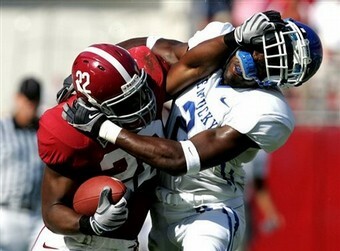 2010 Outlook: Look for much of the same with the SEC dominating college football. Flordia will have a bit of a rebuilding year after the loss of Tim Tebow and likely NFL first rounders, LB Brandon Spikes, TE Aaron Hernandez and CB Joe Haden. The scary part is that the other top teams could be and should be even better this fall. That includes ‘Bama, who returns the running back tandem of Ingram and Richardson, but they also return WR Julio Jones and QB Greg McElroy. 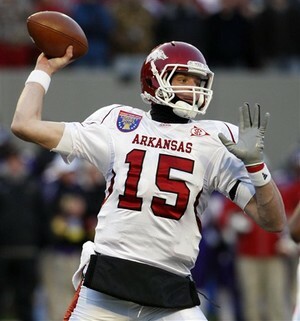 Head coach Gene Chizik will look to build on the momentum he created at Auburn, and with Arkansas’ Ryan Mallett and Ole Miss QB Jevan Snead, the SEC could possibly have a pair of first round quarterbacks in the 2011 NFL Draft. Please feel free to post your own power rankings and give your feedback. Also, look for College FootBlog’s analysis of the recruiting season in a couple of weeks.